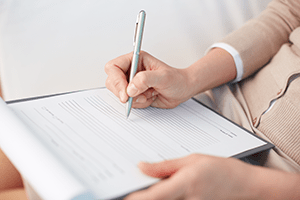 For your convenience, we have provided a full set of forms that may need to be completed upon your first visit to our office. Just download the required forms, print and complete in the comfort of your own home prior to your visit. If a referral is required, the referring physician may schedule the appointment for you; or, once you receive the referral, you may schedule the appointment yourself by telephoning our office. If your insurance does not require a referral, please call our office directly to schedule your first appointment. Excellent ENT physician! [Dr. Potocki] is smart and caring. He explains things well. I highly recommend him without reservations.